[ENG] Yet again introducing Pericles! Running a blog can sometimes surprise you very positively. You write your experiences with broad variety of games, creating session reports, reviews, some strategy tips, etc. 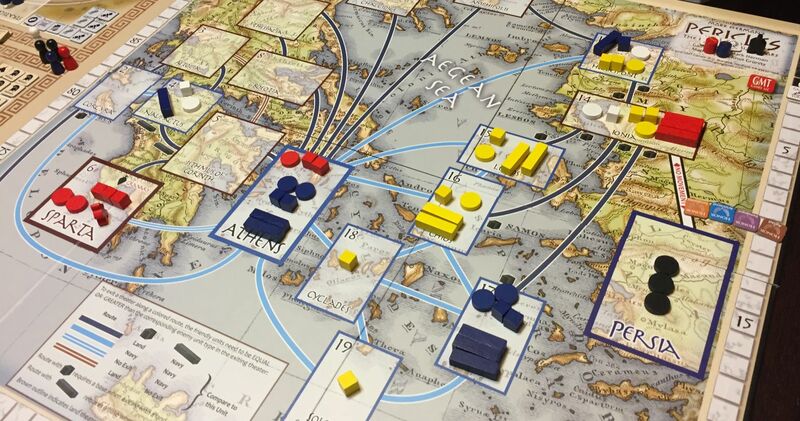 However, not everybody is lucky to have enough friends willing to play boardgames, especially wargames. 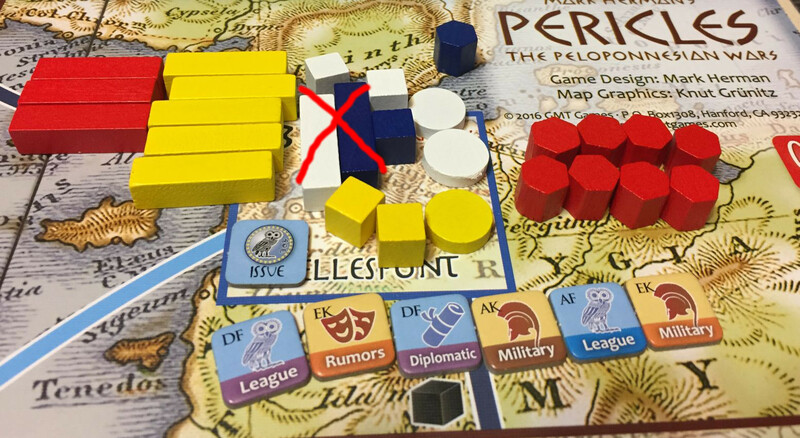 So when on one November day Lukasz contacted me via email, stating that he is fascinated with Pericles but had no opportunity to play it yet I did not hesitated even for a moment – we need to meet, I will organize couple of my boardgames friends and we will play! 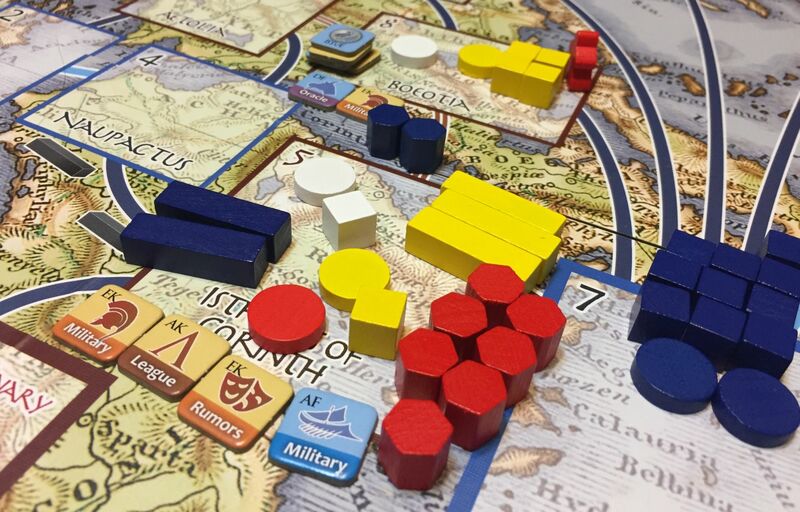 Pericles has superb system of introducing new players to the game so we started with Vignettes. 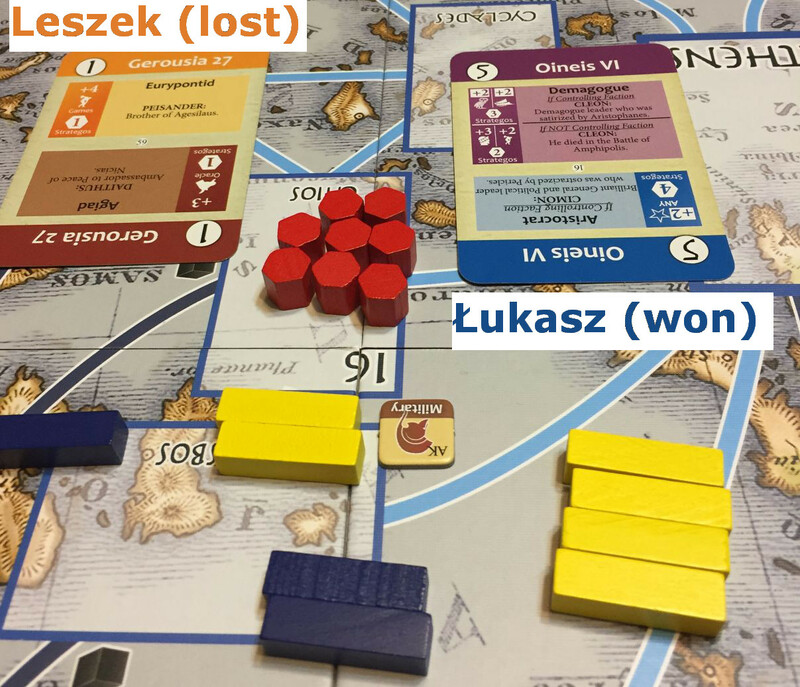 We played with Lukasz, his friend Leszek and my often companion Marcin. Below some details how the evening went. Instead of describing how to conduct a debate, it is much easier to ask new players to play one! 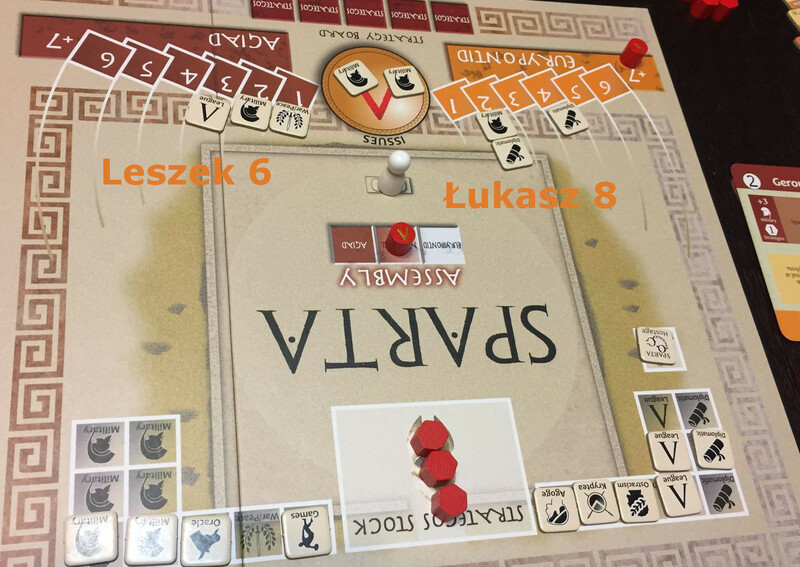 Leszek and Lukasz quickly grasped fundamental mechanics, also using the brain trust concept and acquiring strategos by playing appropriately aligned cards. Fierce debate, Sparta will declare war! 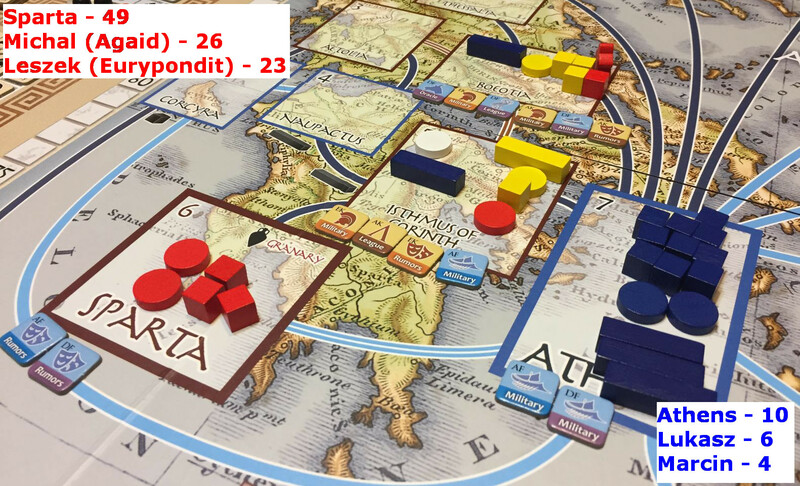 Once familiar with political segment we played two battles, explaining how the units works, their strength, order of battle depending on type of theater. Ok, enough of quick introductions, let us see now how it all works on the board! I find Theater Vignettes as superb way to show this to new players. 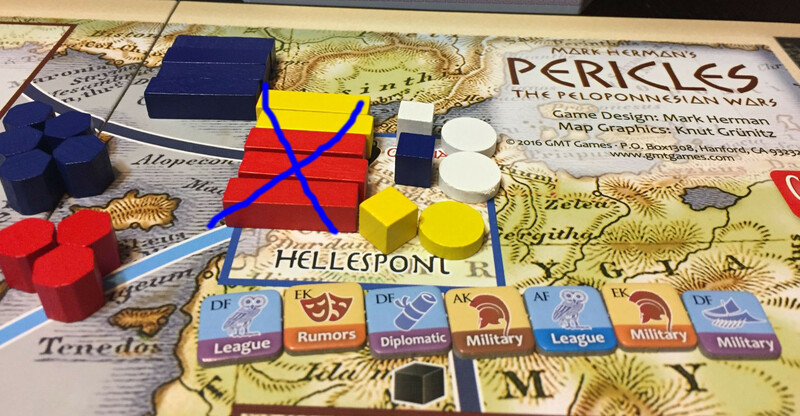 Everybody have a predefined issues and strategos, we play one turn and do not score end of game bonuses. These are already scenarios which cause a lot of emotions and fight for internal (politics) and external (war) victory. Good test play, allowed for all new players to grab the fundamental mechanics. As you may see above, for reporting purposes we are leaving all the issues in chronological order next to theater they were played. 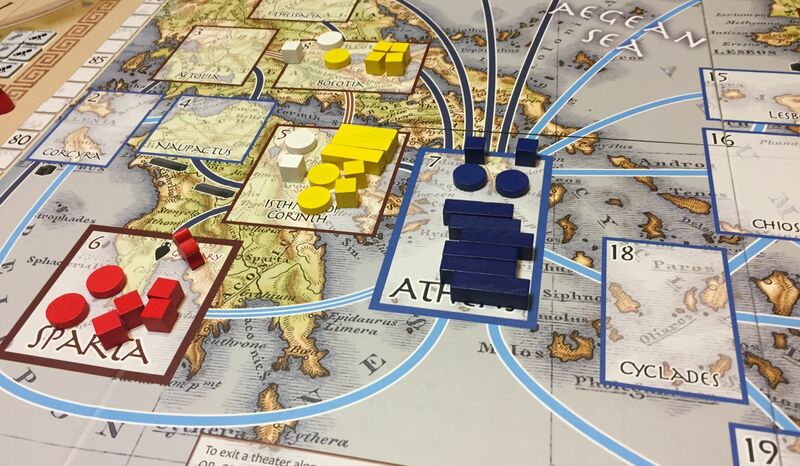 In the end, surprisingly but full deserved, the Athens were victorious! Very enjoyable evening! 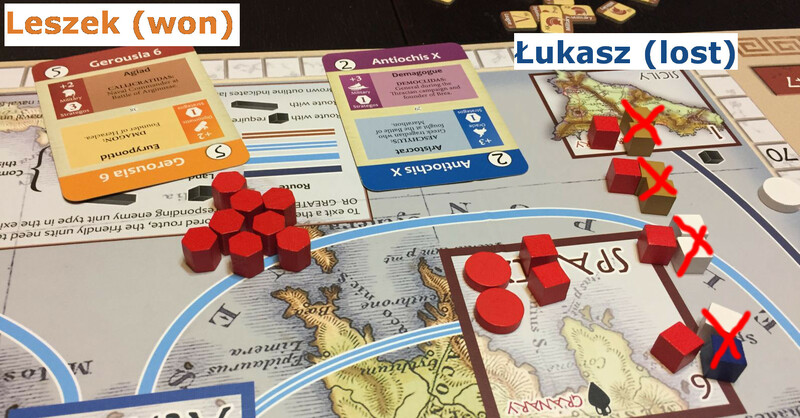 Funny that I finished introducing that fantastic game to another set of boardgamers. I hope next week to have possibility to play with them the full scenario. Next Next post: [PL] Nareszcie dotarły!